Breakfast in hotel. Transfer to the town Beloretsk (600 km). Accommodation in the tourist centre. Dinner in the tourist center. Russian Baths. Breakfast. Visit the museum of local lore, history and economy. Transfer by bus to the bank of the river Nugush (area of the settlement Galiakberovo), preparing of catamarans and beginning of rafting. Rafting to the village Verkhnij Nugush (6 km). Accommodation in tent camp (double tents). 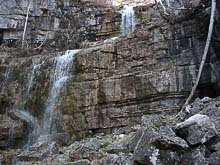 During the rafting you’ll visit caves, rocks, a waterfall Kuperlya. Fishing, swimming. Tourist Russian baths. Spend the night in tents on the bank of the river Nugush. 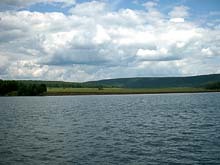 Continuation of rafting on the Nugush water reservoir. Lunch. Accommodation in tourist centre “Nugush”. Rest day at the tourist centre. Transfer to the city of Ufa.